A beautiful cottage is awaiting you on Grassy Key. Built in the original Keys architecture, the cottage is free standing with windows on all sides. The efficiency holds true to its name as it is small, but very functional. Being a stone's throw away from the ocean you can enjoy partial ocean views from your bed on the west and from your dining table on the east. It offers everything you need for a good night's sleep, a refreshing shower and a good breakfast before you start your day in tropical paradise. After a day full of adventures don't forget to relax at our oceanfront tiki and hammock. From here there is no telling what wildlife might amaze you. If marveling at the beauty of the ocean from the shore doesn't satisfy your fascination for the ocean, then treat yourself to an outing on one of our kayaks. Head for the nearby rock ruins and be prepared to see many dazzling fish. ...back on shore, it's time to eat and we do not feel like cooking or getting in the car to find a restaurant, not a problem, the Grassy Key Outpost restaurant is next door offering a nice selection of dishes, it is also a convenience store (closed on Mondays). One mile south of us is Curry Hammock State Park. Ten miles north is Long Key State Park. Both have wonderful ocean access and trails. Three miles out to sea is marker 45, a nice place to fish mangrove and yellowtail snappers, and a few more miles South is Coffin's Patch Reef, a delightful protected area to dive or snorkel. Both locations are a few minutes away by boat from the property. These are merely suggestions in addition to all the wonderful things that are yours to discover throughout the Florida Keys. -Washer and dryer on property at no additional charge. Laundry soap provided as well. 60 ft from beach access on property and Atlantic Ocean. Coin operated washing machine and dryer on property. Dining table, kitchen and queen bed are all in the same room. Basic condiments in fridge (ketchup, mayo, mustard, salad dressings, cocktail sauce, tartar sauce) Salt, pepper, sugar, vinegar, oil, in pantry. Hot plate burners, toaster oven, cooking utensils, dining ware, coffee maker and coffee provided. Dining table, kitchen and queen bed are all in the same room. Kitchen is equipped with a full sized refrigerator, microwave, toaster oven, hot plate, utensils and sink. kayaks and life jackets provided. Washer, dryer and laundry detergent provided. We really enjoyed our stay in this cute cottage. Friendly hosts and other renters. We loved mornings at the water’s edge with our coffe. Good location! Loved this charming little cottage by the sea! We really enjoyed this little cottage. It was very cozy and had all we needed for our stay. 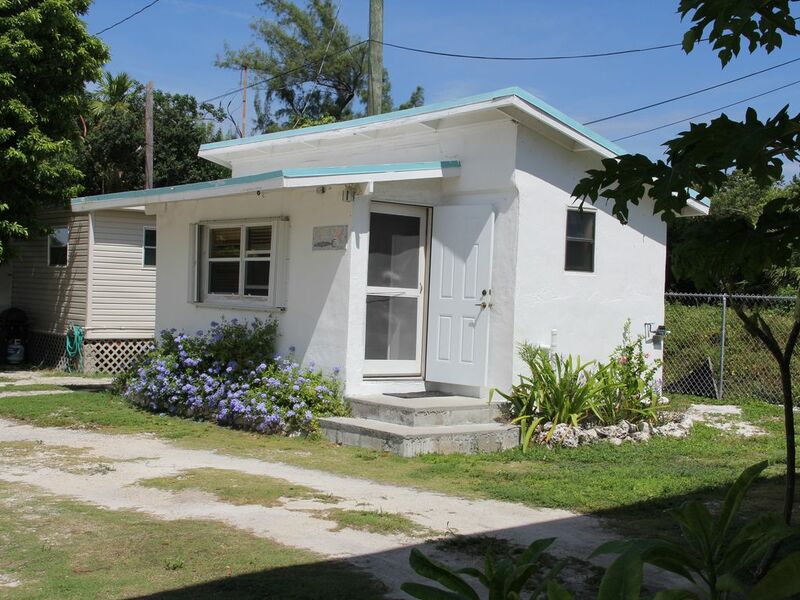 This cottage was centrally located in the keys which made it perfect for exploring! Our hosts were great and knowledgeable of the area and the tiki area was perfect to catch sunrises! Delightful property and terrific hosts! Perfect getaway bungalow for 2! The house was just as described. It was everything needed for 2 people. We started each morning with breakfast and coffee outside before hitting the road for day excursions. The kayaks were a nice bonus. The owners were wonderful and very accommodating! Definitely would go back to this location!